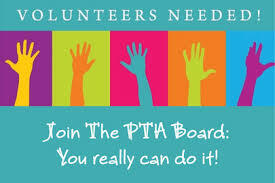 PTA elections are coming up in May. Several positions’ terms are up at the end of the year including president, vice president, and corresponding secretary. If you have any interest in one of these positions, or if you have questions as to what they may entail, please feel free to email cgiarrocco@gmail.com or cwhenrypta@gmail.com. Below you will find brief descriptions of these positions from the PTA by-laws. 7. have a current copy of this unit’s bylaws available for membership review. 2. in their designated order the 1st VICE PRESIDENT, and 2nd VICE PRESIDENT perform the duties of the president in the president’s absence or inability to serve. 1. Provide all members with notice and agenda of Executive Board and General Membership meetings. 2. Notify Board Members of Board meetings and confirm when feasible. 3. Maintain an accurate list of card-carrying PTA members. 4. Conduct such other correspondence as required by the Executive Board. 5. Perform duties of the Recording Secretary at meetings when the Recording Secretary is absent.